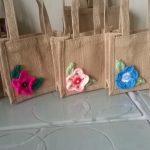 Welcome to my website: come in and browse my handmade items and feel free to ask questions. 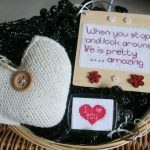 Everything featured here is handmade by me: Elaine, the nutty knitter (Hoddesdon, Hertfordshire) as I have been labelled. 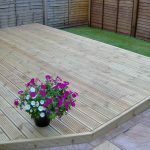 I love creating so if you don’t see what you want let me know, I’d love to help. I provide knit to order services but please be aware that these handmade creations take time so get in with plenty of time to spare in case I am busy: I hate letting people down. 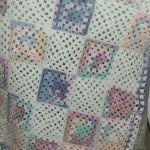 Some smaller knitted items are in stock including baby blankets, hats, cardigans and jumpers. 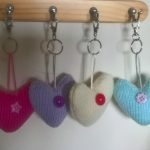 There are also key rings, jute bags, cross stitch plaques, cards, bookmarks and gift hampers. If you would like a gift hamper for a new baby I’ll happily help you provide a handmade unique gift. I’ve even recently been making more adult knitted items but these do take time so please consider this if you want to order. I have limited wool supplies for instant use so please factor in sourcing the wool of your choice to make your unique handmade item. My gallery show’s my favourite pieces (so far) as new creations often find their way on that list; one of them being a horse ‘Hugo’. Please note that these creations haven’t been CE certified so are not suitable as toys. Quite a few of my favourite handmade items have resulted from custom orders: hoodies have been the recent customer favourite. I am proud to be a registered member of The Professional Crafters Guild: this is not a hobby. I put care and attention in everything handmade I create. Each item is sent 1st class signed for via Royal Mail and comes with washing instructions as per the wool manufacturers recommendations. Personally I recommend hand washing and please check any buttons after each wash.